Acclaimed husband & wife duo Aaron & Amanda Crabb return with Restore, their first new studio recording in three years and highly-anticipated follow-up to 2013's Dove-nominated Difference Media debut, Mercy. 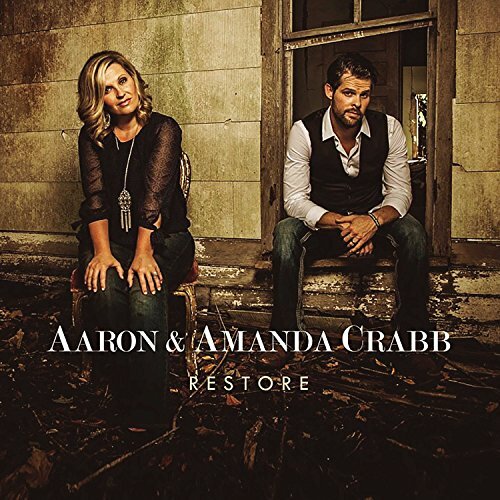 Produced by Aaron Crabb, Restore showcases the couple's signature harmonies and fresh country influences throughout a 13-song set reflecting their recent journey, from launching and pastoring Restoring Hope Church near Nashville, to the birth of their fourth child last year. Songs such as Two Coats, I've Seen What He Can Do, He Looked Beyond My Faults and Restore Me find Aaron - who rose to prominence as a member of the groundbreaking GRAMMY®-nominated Crabb Family and Amanda - learning to cherish life's everyday moments while embracing transformative hope, healing and ultimate victory in the blood of Jesus.